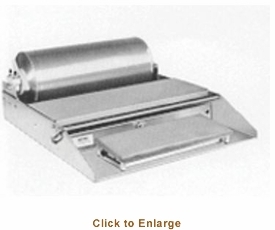 You�re viewing our Omcan wrapping machine with mounting axle � one roll. 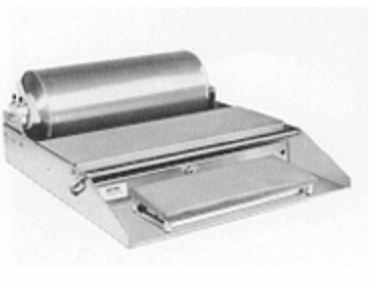 Omcan's heat seal machine is a one roll basic wrapping unit with mounting axle, with an all-stainless wrapping surface that makes clean up fast and easy. Wrappers are designed with extra large rubber feet, preventing sliding on counter surface as you work. The wrapper comes with a solid state controlled hot rod cut off bar and a 6" x 15" standard size hot plate that has a non-stick Teflon cover. Our Omcan wrapping machine with mounting axle comes with a manufacturer warranty. We can answer any questions you may have about our products.